Jarubhorn Brahmaphalin is a semi-finalist of Redress Design Award 2017. She is currently studying Fine and Applied Arts in Fashion and Textile Design at Bangkok University, Thailand. 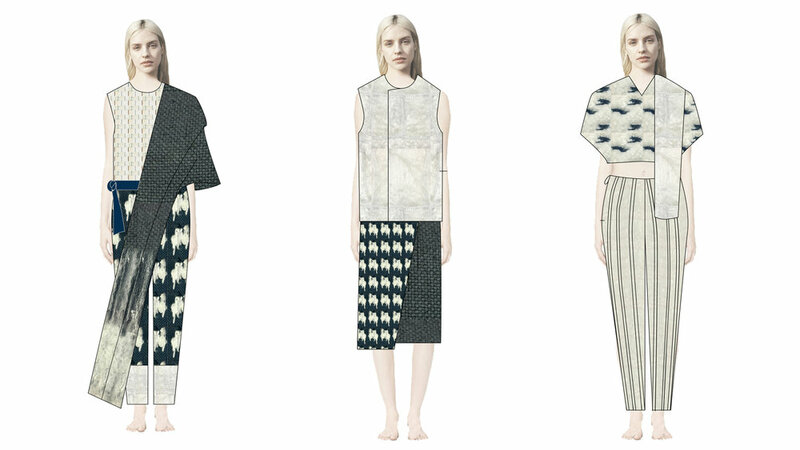 For her Redress Design Award (formerly the EcoChic Design Award)application, Jarubhorn takes inspiration from the bleached corals in Southern Thailand. She applies the design techniques of zero-waste and up-cycling to "mawata" silk waste, to create soft, asymmetric silhouettes, reminiscent of traditional Thai sailor outfits.